Designed in 1910 incorporating bricks, tiles and oak posts from three old barns that once stood on the site, the building has a special charm reminiscent in character of a 19th century farmhouse. 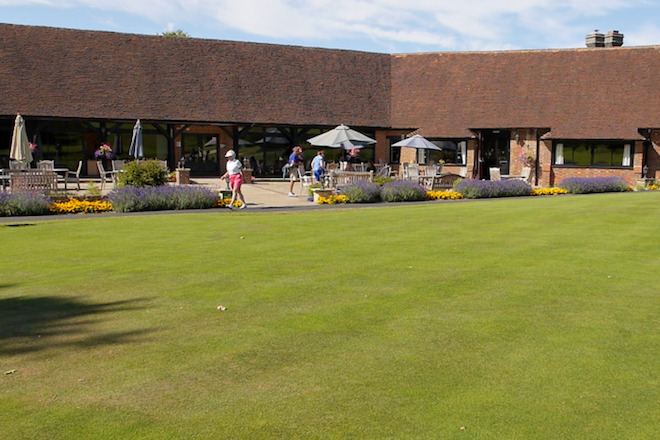 The front of the clubhouse a magnificent terrace with wonderful views of the 18th hole, perfect for drinks and snacks in the warm weather. 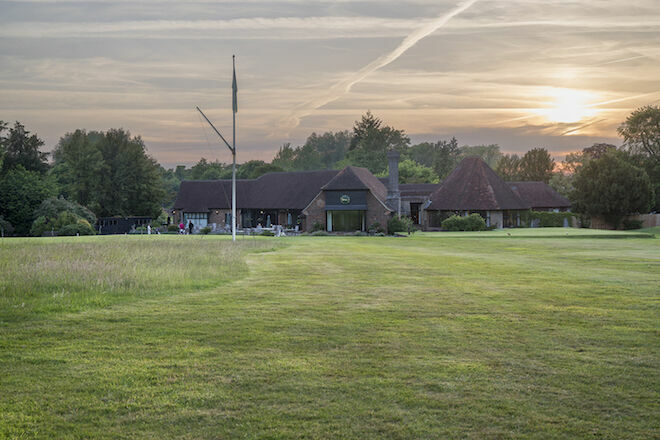 There's no better place to relax after a round than in the heavily beamed spacious lounge which in winter features a log burning stove. 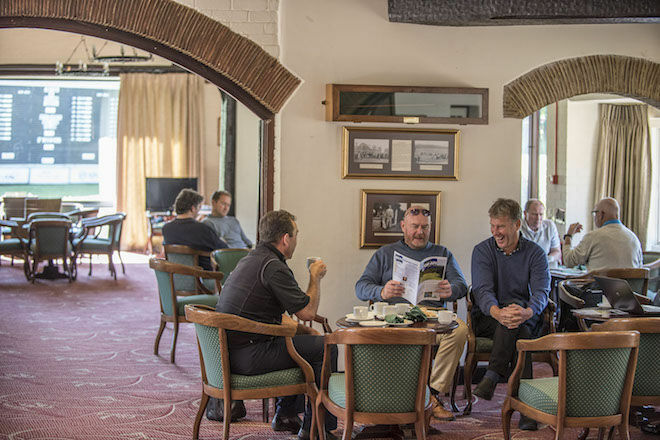 This room and the adjacent Sun Lounge with its wide patio doors look out onto the York stone paved terrace where in summer tables and chairs provide excellent views of the course. Our bar stocks an excellent range of traditional ales and lagers together with a carefully selected list of wines to suit most tastes and budgets. 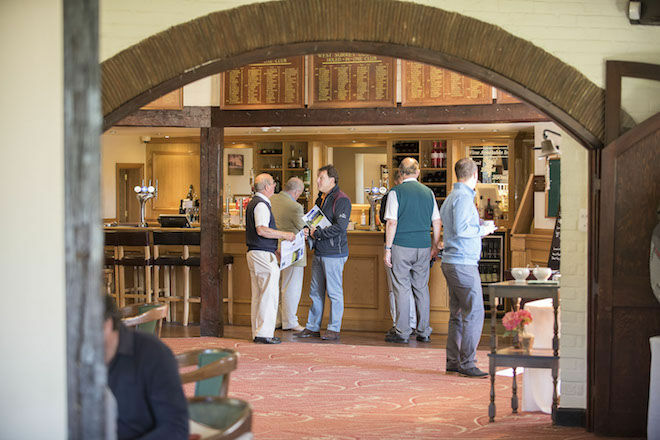 From the bar we have an excellent daily snack menu as well as seasonal daily specials to ensure hungry golfers are well fed either before or after their rounds. The octagonal dining room seating up to 70 features a distinctive beamed ceiling and leaded windows looking onto the 1st hole, an aspect which delights today as much as it did when the building first opened.